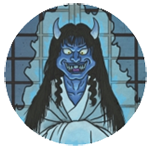 APPEARANCE: Goryō are the ghosts of ancient warriors and nobles who died horrible, agonizing deaths and returned to haunt their enemies as dreadful ghosts of vengeance called onryō. INTERACTIONS: These terrible ghosts bring calamity and destruction to those who wronged them in life. Their revenge is often in the form of fires, wars, plagues, droughts, floods, storms, the deaths of imperial family members, and other disasters which the ancient nobility viewed as curses. 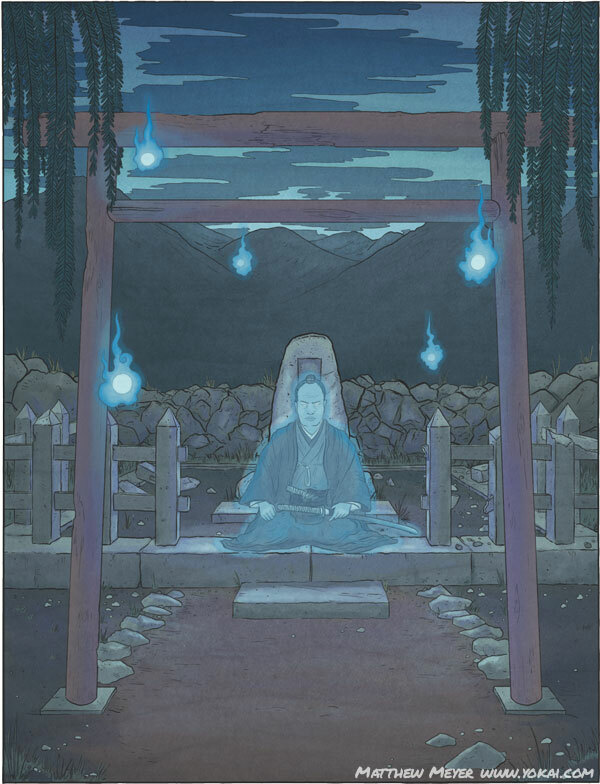 Because ghosts cannot be killed, the only way to end their wrath was to transform them into peaceful, benevolent spirits. 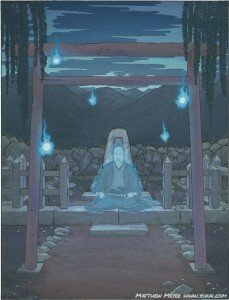 This was done with the help of priests and onmyōji, through the religion known as goryō shinkō—the religion of ghosts.